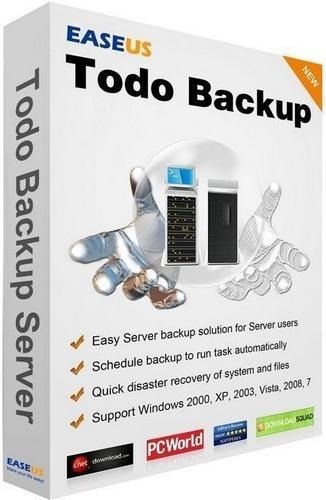 With EASEUS Todo Backup software you can create backup copies of your drives and partitions. Files can be accidently deleted, damaged by a virus or a hard disk failure, etc. However, less than 20% users back up their computers regularly. EASEUS Todo Backup Home is a free file backup, disaster recovery and disk clone software, protecting your data, including photos, music, videos, documents, financial data and applications. Back up what you want, when you want. Backup entire disk(s), partition(s) or GPT disk(s) to image. You can back up the entire system and installed applications on the fly without interrupting the work. It ensures the instant recovery of your PC instead of reinstalling Windows and software. Capturing the changes incremental backup for disk and files is a complement for full backup owing to saving time and your disk space. Make a copy of specified files and folders or by file types to secure your individual data, including documents, pictures, music, emails, applications, videos and financial files, etc. Run backup automatically at a predefined time. By scheduling a backup task, your system and important data can be backed up now, daily, weekly.